A performer from the Cirque du Soleil group who was born in Paris, died following a fall during a Las Vegas show. The performer, Sarah Guyard-Guillot, fell nearly 50 feet on Saturday and was later pronounced dead at a local hospital. Witnesses to the tragedy said the accident took place close to the end of the event on Saturday night. The group was performing at the MGM Grand. One visitor said the acrobat performer, who was 31, was being hoisted up when it appeared she slipped free of a safety wire and fell to an area below the stage. At first audience members thought, the acrobat’s fall was part of the performances, but later they were able to hear a frantic female artist crying on the stage. For a brief period the show continued, then was stopped. A few minutes following the accident, an announcement was made informing members of the audience that vouchers to a future show or refunds would be available and the crowd left. On Sunday, Guy Laliberte, the founder of Cirque du Soleil, issued a prepared statement praising the performer and said the “Ka” performances were canceled indefinitely. Guyard-Guillot, was a mother of two and had been a cast member of “Ka” for 7 years and an acrobat performer for more than 20 years. 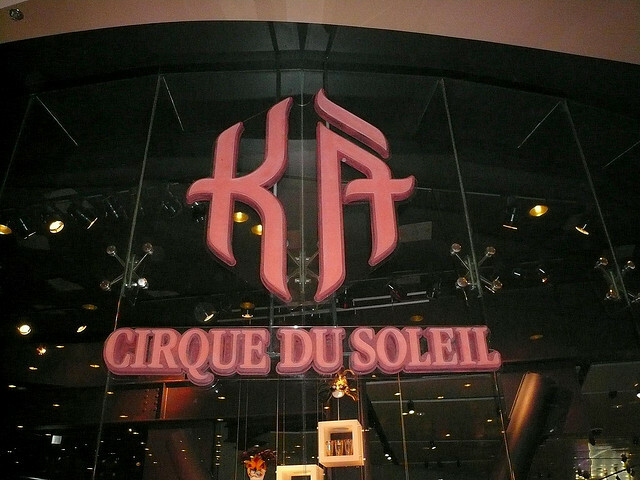 Official from Cirque have been working with authorities in their investigation since the accident occurred. They are offering complete cooperation. The Coroner’s office from Clark County will make a ruling on the cause of death later this week.